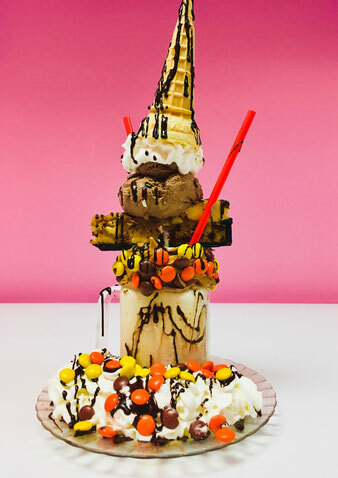 Our Insane Shakes are nothing like you've experienced and are designed to make you say, "Wow!". 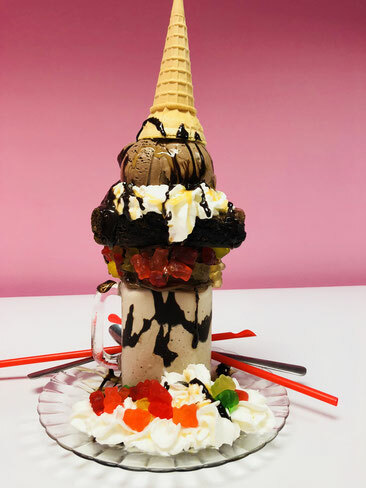 1LB of delicious ice cream loaded with toppings, candies and goodies in a harmony of exquisite indulgence. So please bring your appetite....and a friend to share! 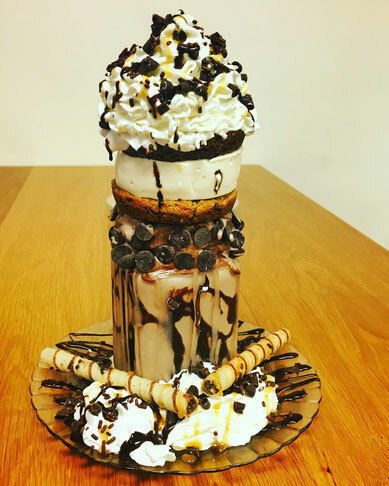 Black & white milkshake, homemade ice cream sandwich, loads of chocolate chips topped with a mound of fresh whipped cream and shaved chocolate curls drizzled with salted caramel and chocolate sauce. 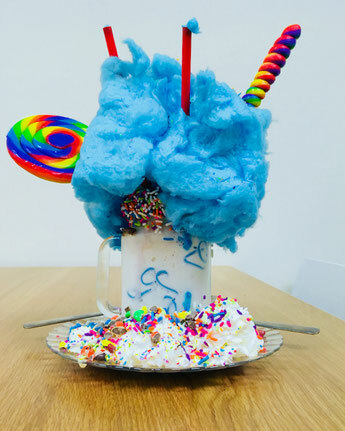 Choose your own milkshake flavor!  Then add a hot fudge/caramel sundae with 2 scoops of ice cream in a Belgian chocolate dipped waffle bowl heaped with a topping of your choice and fresh whipped cream. 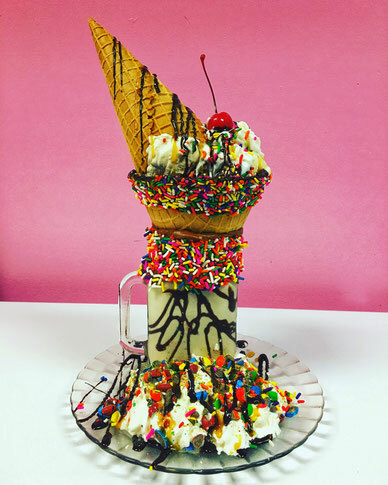 Add any traditional scoop of ice cream in a waffle cone to complete your wonderland. Drizzled with chocolate. A dream shake loaded with your favorite ice cream flavor. 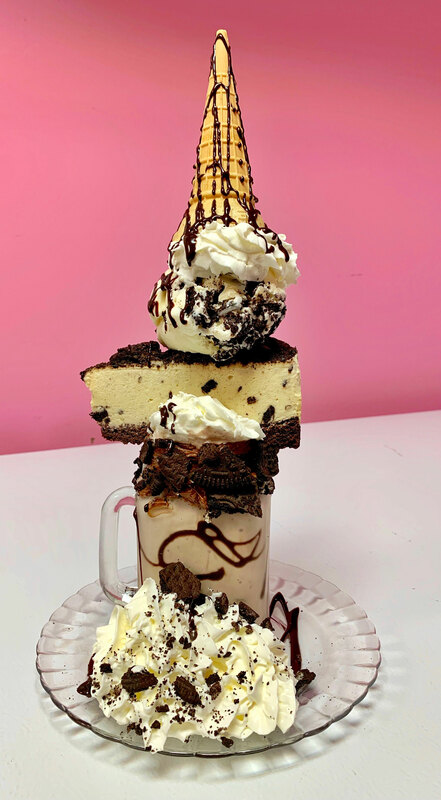 A Cookies n' Cream milkshake topped with a slice of Oreo cheesecake and adorned with an extra cone of cookie n' cream ice cream. Garnished with chocolate buttercream, crushed Oreo cookies and drizzled with chocolate sauce. 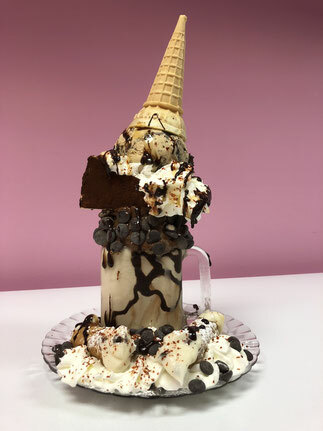 Our classic shakes are made with all-natural ice cream, layered with rich texture and topped with fresh whipped cream. 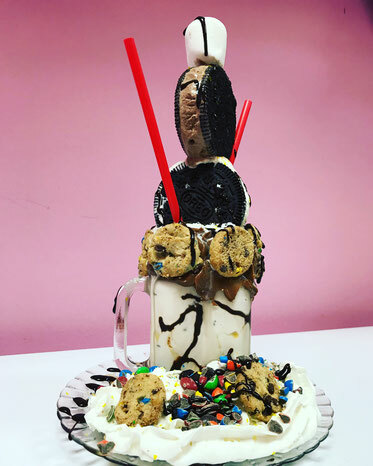 Build your own with any traditional or vegan flavor! Vegan shakes made with vanilla flavored almond milk.